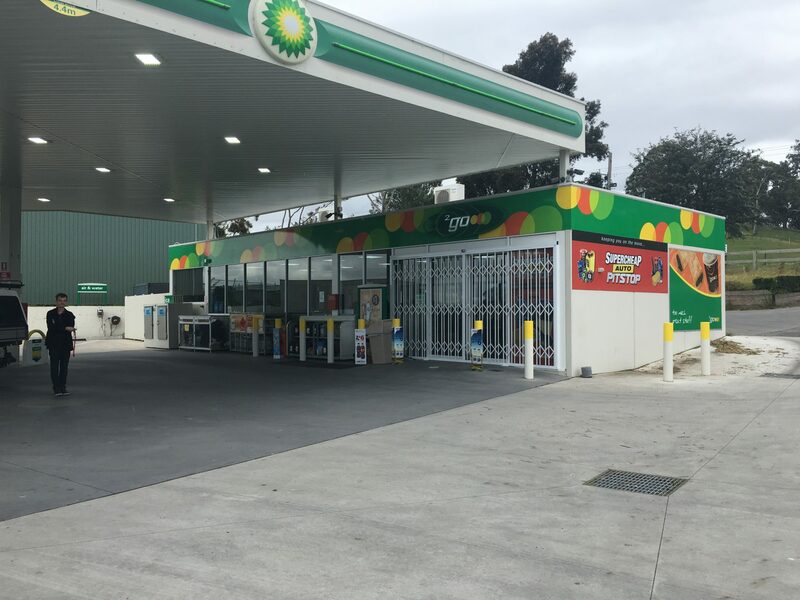 The Australian Trellis Door Company™ (ATDC™) has recently installed its S06™ heavy duty security door at the BP Petrol Station at Lysterfield in Melbourne. Luke Plancke, the retail manager, supplier relations at Endeavour Petroleum, said the group had ordered the security door following two previous break-ins over a 6 week period which caused the Melbourne company major financial losses as well as serious disruption to their business trade. In each case the intruders entered the premises by breaking in through the front door, in one case by reversing their vehicle through the doorway. This follows a spate of similar break-ins to commercial premises in the Melbourne metropolitan area and, as a direct consequence, a major increase in demand for ATDC’s security door for Melbourne based businesses. The S06™ security door was chosen by BP for many reasons including the fact that it folds completely out of sight during trading hours but at night provides the high level of security provided by Australian Standards rated security door products. With its tamper resistant triple contact locking mechanism and heavy duty full frame, this security door now provides BP and many other businesses in Melbourne with the level of protection many insurance companies are now insisting on. Many of ATDC’s security doors and roller shutters are being installed at service stations across Australia including at Woolworths Petrol service stations where ATDC’s products are being specified throughout the rollout of new service stations. In this case the security doors and roller shutters are being used as a deterrent to secure both electrical distribution cupboards as well as storage bin areas. Read a company news article on ATDC and Service Stations here. ATDC’s security door is not only sold in Melbourne, but is also available in Sydney, Brisbane, Perth, Adelaide, Canberra, Darwin and across all regional towns in Australia. For more information on this security door and the entire comprehensive range of barrier systems offered by ATDC, please visit https://www.trellisdoors.com.au or call 1800 657 435.